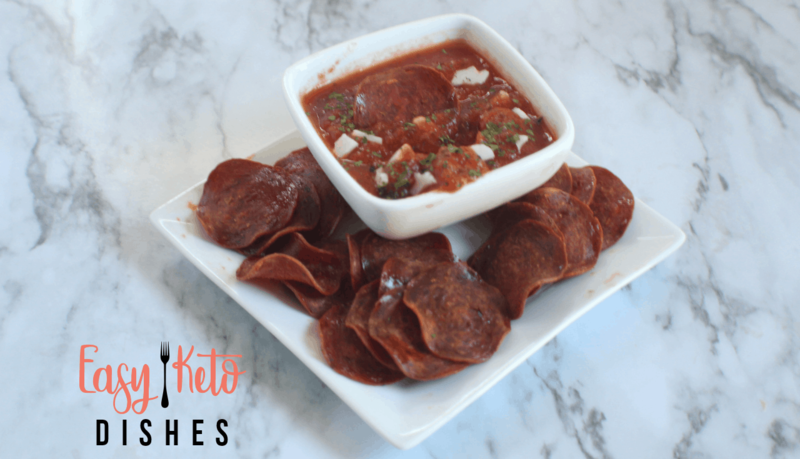 Deliciously crispy and perfect for snacking, dipping, or topping a salad, these pepperoni chips are the perfect replacement for chips or popcorn! Having the Frenchman live with us has made me bump up my cooking skills to a different level. Although I no longer have cable, I may have to rethink that expense in order to watch the Food Network again for new inspiration. Not that I mind, you know. I love to make all kinds of food. Of course, having crispy pepperoni chips makes him the happiest. 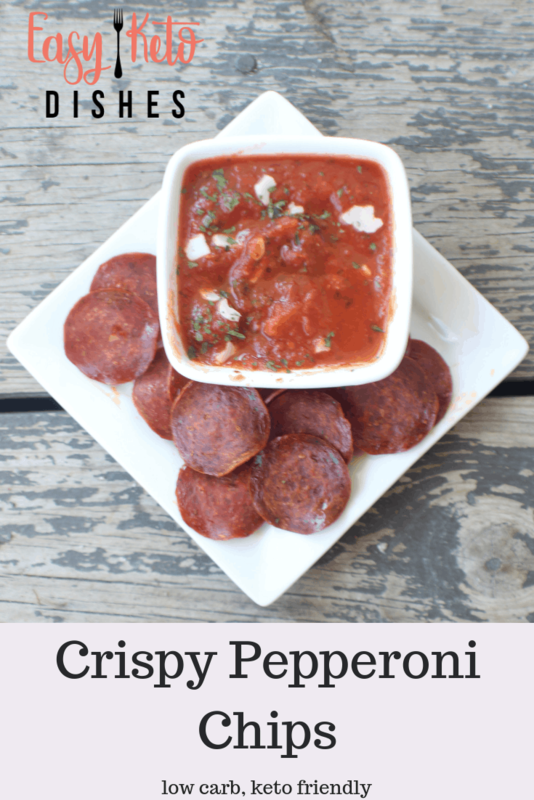 He gets the best of all worlds-pepperoni chips that are crispy and snack-able. 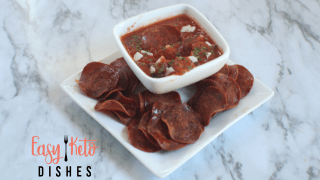 Since the Frenchman loves to snack on crispy edged foods, these keto friendly treats are a winner. Baking them makes a nice cripsy edge, and there is only 1 gram of carbs in 16 chips. So much better than the 22 grams of carbs in 16 potato chips, right? Plus, you get the same crunch factor and saltiness that many of us crave. 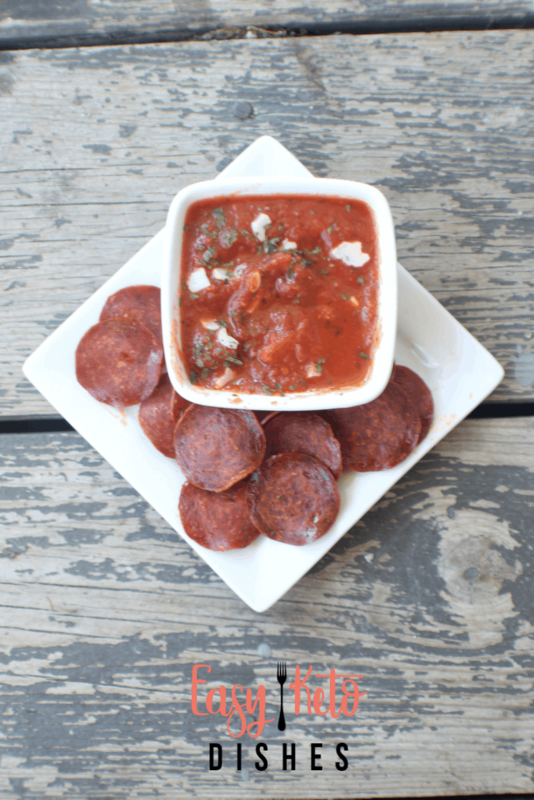 Adding in a sugar free pizza or spaghetti sauce for dipping will also satisfy some of those carby pizza cravings you may be having, too. 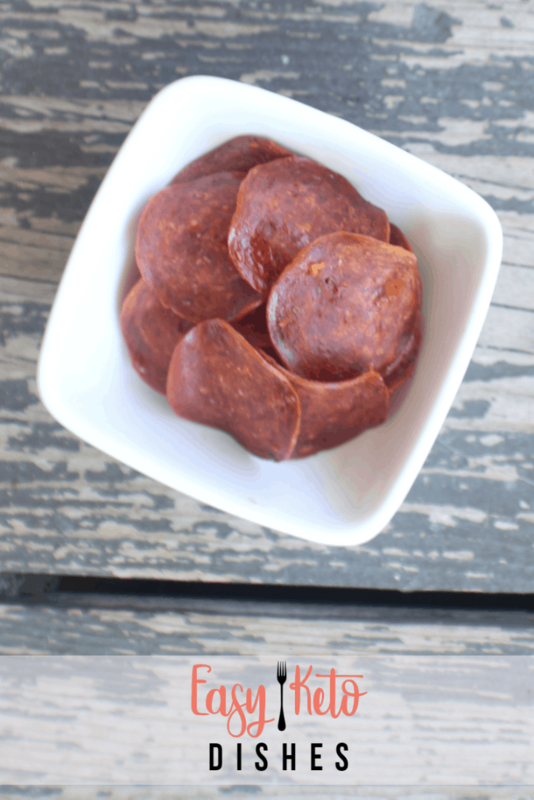 Have you ever tried pepperoni chips? What do you like to dip them in?